Tom Izzo. At the weekly Tom Izzo radio show, starring the great Tom Izzo. Seven Big Ten regular-season championships, six Final Fours, and the national title with Cleaves and the Flintstones in 2000. A god, but a humble one. Slouched forward now, grabbing handfuls of popcorn, grinning at the questions, the attention, the love. Answering them with that voice that has grown raspy with age. And the face: the lined face that performs Kabuki contortions on the sidelines. There is only one Izzo. This was my second time in his presence, the first coming after a semi-embarrassing road loss to Northwestern last season, where I was frankly shocked by Izzo’s grace in defeat. Based on my experience with coaches and the fragility of their egos after a loss, I fully expected him to ritually browbeat the weakest reporter in the press room, segue into passive-aggressive comments about the media in general, and pout until his PR person ended the whole thing with an admonishment for everyone. Instead, he stayed longer than necessary, showed no signs of petulance or rage, and even stopped to speak with individual reporters in the hallway afterward. God bless you, Keaton, I thought, for bringing me here. Watching Izzo, I sensed none of the tension that was palpable in the room. This was the night before the Michigan game, and while I knew in the abstract sense that yes, Spartan nation wanted to win, I hadn’t begun to imagine the deep pools of hate for their rival, or the fierce and desperate and beautiful rage I would witness over the next 24 hours. 1. One school (MSU, NCSU) has agricultural origins, and a sort of salt-of-the-earth self-perception. They believe the other school (Michigan, UNC) looks down on them. 2. The other school (Michigan, UNC) has a nicer town, campus, and academic reputation, and is known as one of the nation’s top public universities. 3. To make matters worse, the other school also has a different chief rival (Ohio State, Duke). 4. The state schools do not have a different chief rival, which leads to an awkward imbalance. If you ask someone from Michigan about the most important game of the year, the answer is always Ohio State. If you ask someone from Michigan State, the answer is Michigan. As you might imagine, the Wolverines and Tar Heels are not above exploiting the different priority levels and affecting a paternal sort of detachment toward the ag schools. It’s calculated to enrage, and it works. The difference is that the North Carolina version is protected somewhat by a veneer of Southern civility, while the UM-MSU rivalry is without pretense. The hostilities are open, the hatred is raw. 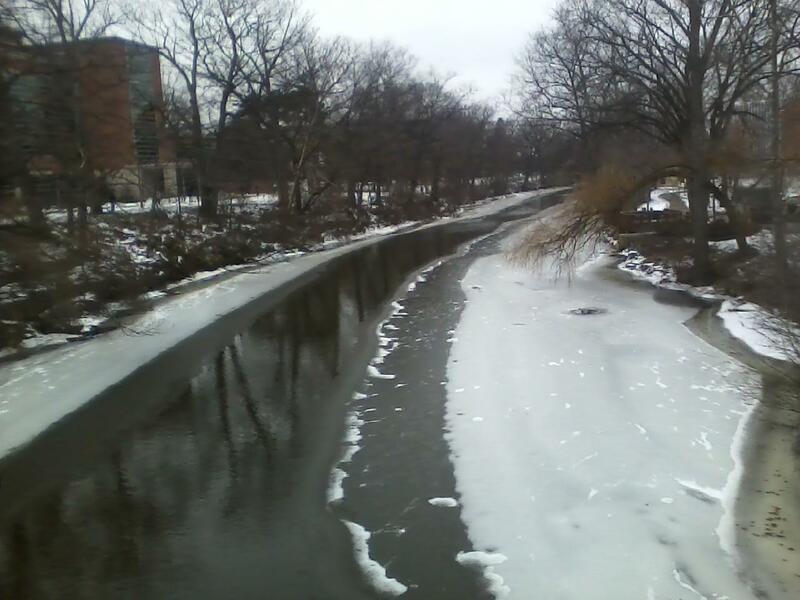 I made my long campus walk on Tuesday afternoon. 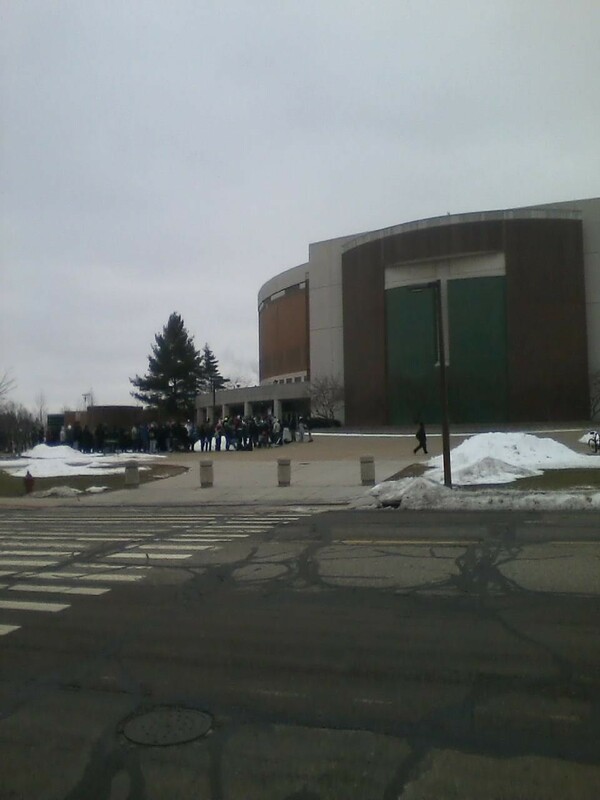 The students were lined up at the Breslin Center six hours ahead of game time. There was talk of a massive Jimmy John’s delivery from a mysterious benefactor, but I’m not sure how that played out. I passed them on the way to Shaw Lane, which splits the campus. It was gray everywhere, like the cold had sapped the color from the sky. It cast a heavy pallor on the scene, and felt miles different from how it must look in the summer. This is the largest self-contained campus in America, according to the literature, and it’s been around long enough that you can’t make any sweeping statements about the architecture; you’ve got lovely old brick in some places, a hint of gothic to the north of the half-frozen Red Cedar River, and also modern glass-and-steel in the newer parts of campus to the south. 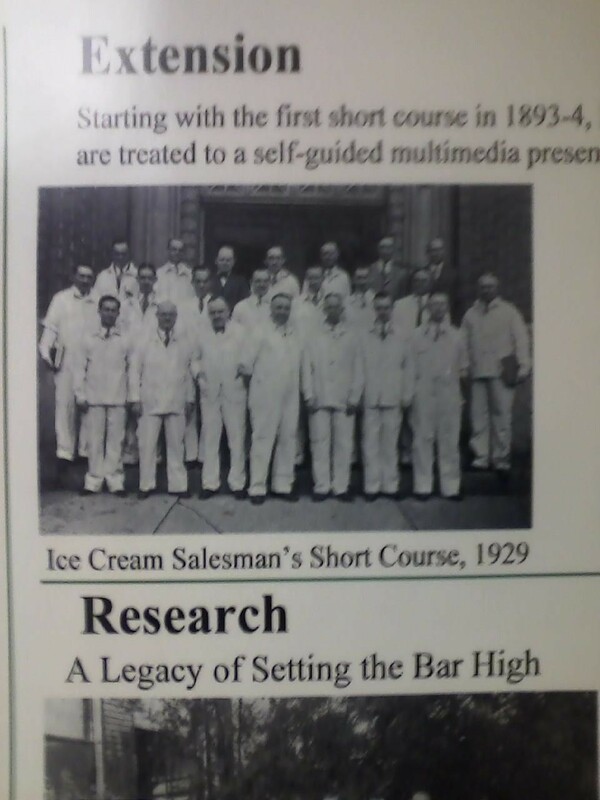 • This picture of ice cream salesmen studying at MSU in 1929. I’m finding it hard to describe why this photo triggered my nostalgia. 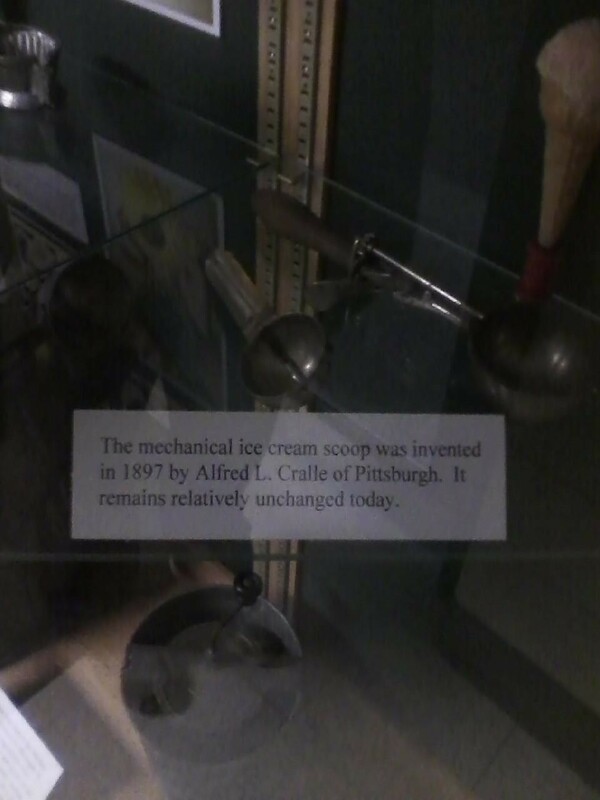 There’s something about the idea of the men, in their white suits, studying the finer points of ice cream at the very onset of the Great Depression, that got to me. It felt sincere, I guess, in a way that broke down the walls of irony in my head and made me want to smash my computer with a sledgehammer. The melancholy feeling grew on the walk back to the hotel. As someone just a generation removed from farmers, and with a highly tuned inferiority complex of my own, I tend to side with schools like Michigan State and NC State, philosophically. 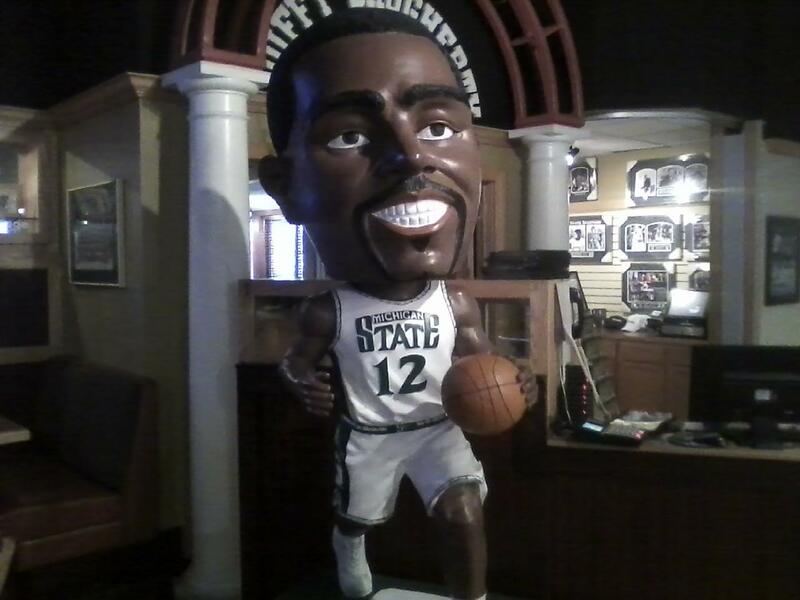 I made one last stop at the Breslin Center. The line was much longer now, with the game just hours away, and the mood wasn’t as festive as I expected. The students huddled together on the sidewalk, and their chants had a seething, pre-revolutionary quality to them. At my hotel, just two blocks way, I could hear them getting louder and more ominous as the night wore on. Once inside the Breslin Center, an hour before tip, I approached the media buffet with some hesitation. My interactions with the MSU staff were nothing but cordial, but the distrust between PR reps and the sports media have gotten so bad on a national level that you hear crazy rumors — PR henchmen putting laxatives in the cooked meats before games, and reporters knowing it but not able to help themselves because of their sick addiction to free food — but in this case, I took a risk and survived. • All white T-shirts, some reading “Izzone,” some reading “You Off” (counter to the “We On” Michigan warm-ups), sombreros, rainbow wigs, one guy dressed up like a green dinosaur, and six Angry Birds in the row just behind the tiny Michigan fan section, chirping (literally chirping, heads snapping forward in angry bursts) at special Wolverine guests Lloyd Carr and Brady Hoke. You may have noticed up to this point that I’ve been avoiding game details in favor of local color. That’s because things got really ugly really fast, and I’m pretty sure the elements of inferiority and anger that I’ve been describing created a swell of emotion that annihilated Michigan before the opening tip. The final result was 75-52, one of the most lopsided results in the rivalry’s long history, and even more shocking when you consider that Michigan came in ranked no. 4 and was considered a national title threat. The diagnosis on this one is simple: Michigan State was overpowering underneath, and Izzo, known for fielding big, tough teams that can stifle even great talents, made it impossible for Michigan to maneuver on offense. The game started with Derrick Nix, Adreian Payne, and Branden Dawson imposing their will (and size) in the lane, scoring in the post with baby hooks and putbacks. Michigan’s interior defense depended on Mitch McGary, a freshman who was totally outclassed and played what has to be the worst game of his life (four points and four turnovers), and Jordan Morgan, who is still recovering from an injury and isn’t at a level where he can compete athletically with guys like Nix. Michigan coach John Beilein was forced to send his guards crashing in from the perimeter to collapse and double, and that’s when the Spartans started playing inside-out. Gary Harris was the beneficiary, hitting 5-of-9 from 3-point range. Michigan State finished with 14 offensive rebounds to Michigan’s six, and just eight turnovers to 16 for the Wolverines. When Beilein tried the 1-3-1 zone he loves to hatch in the middle of games, the Spartans were ready, finding open shots after crisp passing sequences. 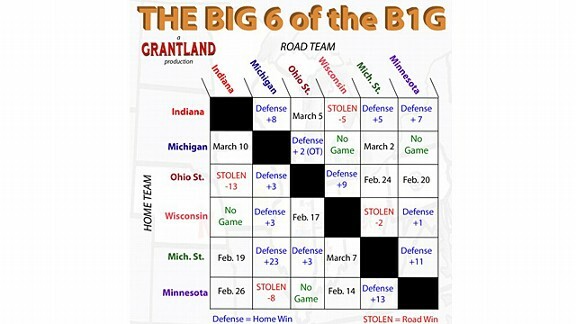 Defensively, it was a Tom Izzo master class all the way. His entire strategy boiled down to a simple expression: “bottle up the lane.” Michigan thrives on pick-and-rolls, and is most efficient when the great Trey Burke can get into the lane. Nix was especially adept at hedging off screens, and making sure the action stayed on the perimeter, and anytime Burke put a move on Keith Appling to drive, there was a giant body to meet him before he could even reach the foul line. Burke was still good, scoring 18 points on 7-of-11 shooting, but he was the only one who was good. Tim Hardaway Jr. couldn’t shake Harris or Dawson all night, and had his worst game of the season, scoring two points on 1-for-11 shooting. Even when Burke found open shooters, his team let him down, going 3-for-14 from deep. At one point early in the second half, when Morgan dropped a pass that would have led to an easy layup, I looked over and saw Beilein holding his head in his hands. It was the closest thing to a concession you’ll ever see. The students loved it, as you might imagine. And yes, it was vengeful. Izzo had sent an e-mail to the student body asking them to direct their energy to the positive side of things, but there’s only so much one man can do. Chants of “Overrated” and “Little sister” and “Back to Walmart” (which refers to Michigan’s legion of blue-collar fans who didn’t attend the school) cascaded down on the Wolverines. They shouted things like “Your dad hates you!” to Tim Hardaway Jr., which I thought was a brilliant and absurd turn — don’t just acknowledge that his dad played, but imply that his dad hates him. They serenaded Nik Stauskas with “U-S-A!” chants every time he left the game (he’s Canadian). They especially smelled blood whenever backup point guard Spike Albrecht had the ball, and their furor left him with a severe case of dear-in-the-headlights eyes. Through it all, I wondered how the Wolverines could pretend not to care. The noise reached such deafening levels — the Izzone put the Ohio State kids to shame, if you want a comparison — that it felt like the players in maize and blue might be in actual physical danger. Amid that frenzy, it never felt like they had a chance to win, and I was impressed that they didn’t flee the court in a blind panic. The Michigan State players and coaches spent the postgame interviews emphasizing that Michigan was better than they showed on the court. Izzo called it the best game his team had played in three years, and Appling was especially polished. He began every answer by complimenting Michigan — “We knew they were a great team” and “They have tremendous scorers” were common refrains — before giving a stock explanation, devoid of specifics, on why his team won. He was so well-trained, in fact, that I think he managed to end nine consecutive sentences with “… and we were successful tonight.” Athletes and teams love qualifiers; take nothing for granted, give no future motivation to the opponent. The rest went unspoken. He let himself enjoy the result for a moment, before shaking his head at the prospect of facing revenge in Ann Arbor. “It should make for a fun game up at their place,” he said. “Or not,” a reporter offered. “Don’t kid yourself,” said Izzo.